The Ford GT40 continues to be remembered as one of the all time greatest racing cars, remembered by many in particular for it’s consecutive victories at the Le Mans 24 Hour between the years 1966 and 1969. We’re betting that the competition in the 1960s wish they could have seen what was under the skin of the GT40 and although they couldn’t, five decades later we can. 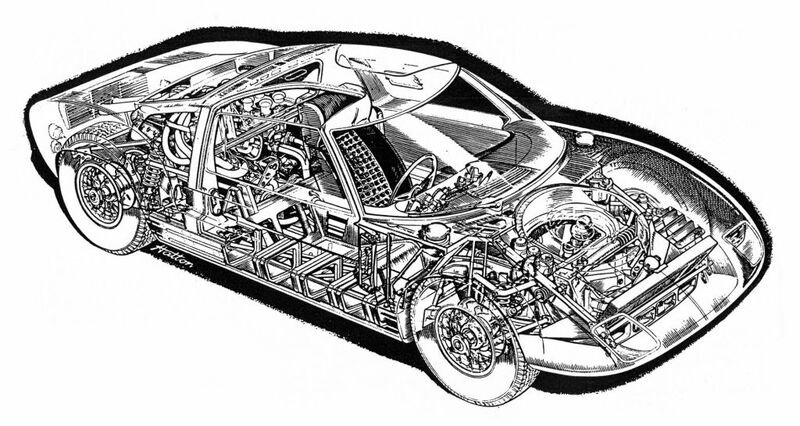 Enjoy these 9 cutaway images taken from various sources, each celebrating the complexity and charm of the GT40. There are a number of variants represented, how many can you name?